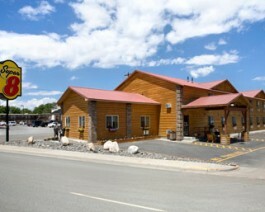 The Super 8 Powell is conveniently located in the downtown area of Powell, Wyoming. The property features 48 rooms, Super Start Breakfast, free high speed wireless internet, indoor pool and hot tub, large vehicle pull through parking and HBO. Several restaurants are within a short walking distance. Open year-round. Pets welcome.